Did you know? You can use an organic cotton produce bag to hold the stuffing in your turkey. Check out Serious Eats discussion of Alton Brown’s recipe for the full scoop. 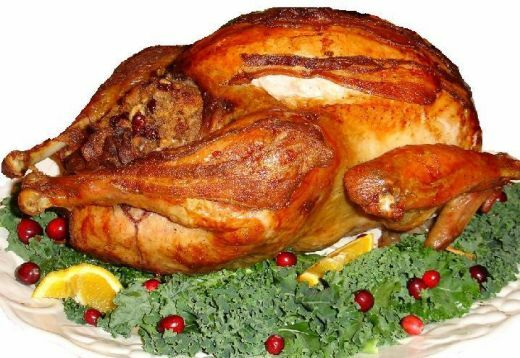 Think turkey stuffed with cherries, pecans, mushrooms, sage from your local farmers’ market! Savory turkey dressing and a perfectly cooked turkey. Happy, healthy and eco-friendly Thanksgiving to all!